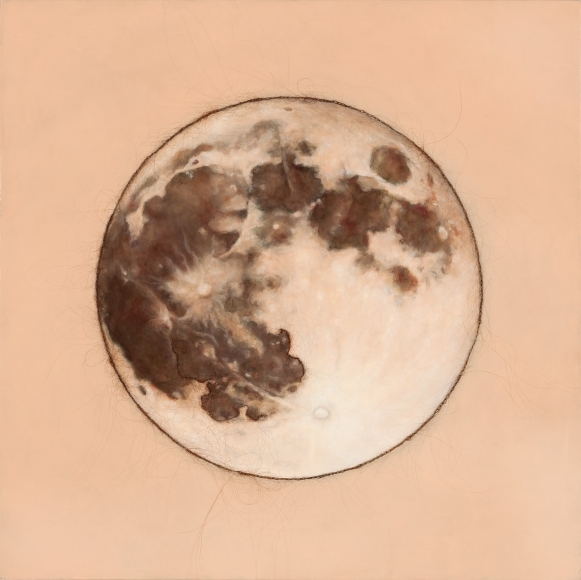 The Moon and its phases are the focus of the newest series, titled Absence and Presence, by New Orleans artist Monica Zeringue. Composed of paintings and renderings in graphite on primed linen, many embellished with beads, Zeringue’s images recall ancient interpretations of the Moon as feminine as well as a lyrical portrait of human life. "Flesh Moon," oil and embroidered thread on linen, 2015, 21.75 x 21.75 inches.